1964-65 Buick Riviera- GQ staff felt that these cars offered the “smoothest brand of masculinity going” with its unique side-vents and bold front grill. The 64-65 Buick Riviera was among the first generation of Buicks, and is considered a styling landmark. 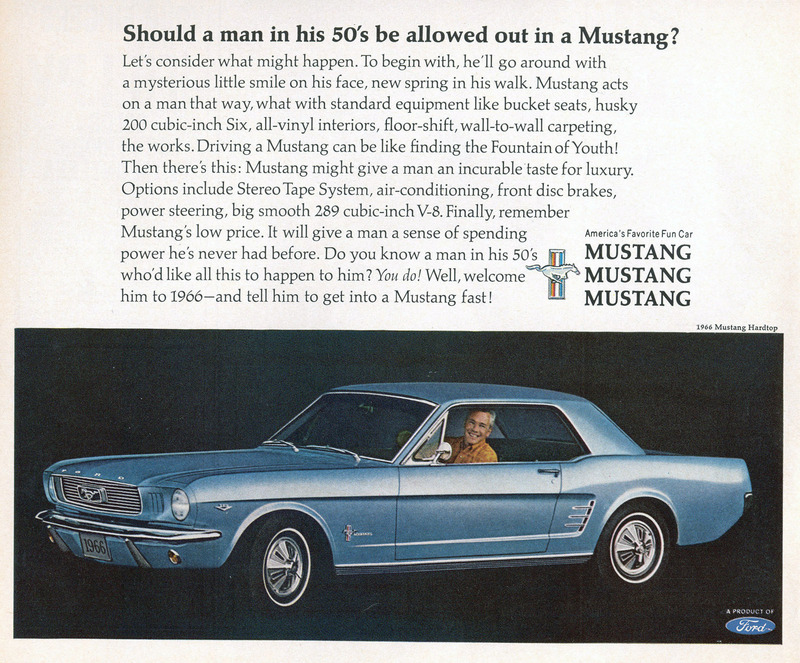 1966- 1968 Ford Mustang GT- Among the first generation of Ford Mustangs, these cars are perhaps the best examples of American Classics. The 1966 Ford GT 40 is actually the only American car to be overall winner in 24 Hours of Le Mans. 1969 Jaguar XKE- Italian race car driver Enzo Ferrari called this car “the most beautiful car ever made”. Are you inclined to agree? 1973 Porsche Carrera RS- Only produced for two years in 1973 and 1974, this car is considered to be the most popular classic model among collectors. 1964 Aston Martin DB5- This car has an iconic place in film. Most movie buffs don’t need to be told that Sean Connery drove this vehicle while he was playing James Bond in Goldfinger. The Bond car sold in 2010 for $4.6 million, and a non-Bond car sold for $833,000 just a few months earlier. These are just a minimal sample of the many different models of classic cars of which car enthusiasts and critics alike define as “stylish”. What do you think; did we leave any game-changers off the list? At Condon Skelly, we understand the appeal of and desire for classic cars. We are able to insure a wide variety of collector vehicles, from original antiques to newer exotic sports cars, as long as the vehicle is a true collectible. For more information, please contact us today at (866) 291-5694. When Should You Avoid a Classic Car Restoration Project? In our blog post titled, “What to Consider When Making a Classic Car Investment”, we stated that if refurbished correctly, classic cars carry the potential for a large profit. However, for many classic car enthusiasts, refurbishing or restoring is far from the reason that most invest in a classic car. In fact, some enthusiasts feel that you should never restore a classic or vintage vehicle, saying that the reasons for avoiding a classic car restoration project far outweigh the reasons you should. For example, J.P. Vettraino, car reviewer featured on AutoWeek.com, claims that you will not make money taking on a classic car restoration project. He states that in almost every case, the car and the job to restore it will end up costing more than either one of them are worth. The car’s value after a restoration project will simply not support the cost of both the car and the rebuild, according to Vettraino. Classic car enthusiasts also point out that you’ll typically spend more than you planned by taking on a classic car restoration project. Even if you set aside some cash, you will likely find that you’ll buy things you didn’t account for, such as tools or parts for the car you didn’t realize you needed. Not only this, but as is the case with many classic or vintage cars, some parts no longer exist. This means you will either be forced to use a part not native to your classic, thus decreasing the value of the restoration, or you may never finish the classic car restoration. Les Jackson, who offers an Intro to Auto Restoration course in a community ed program, states that despite the reasons there might be to avoid a classic car restoration project, there could still be benefits. “There can be more of a community aspect to restoring a car,” Jackson says. “When you stop for gas, people ogle and marvel.” When it comes down to it, this may be the only reason you need to choose to restore a classic vehicle. At Condon Skelly, we understand the appeal of and desire for classic cars. We are able to insure a wide variety of collector vehicles, from original antiques to brand new exotic sports cars, as long as the vehicle is a true collectible. For more information, please contact us today at (866) 291-5694. Back in December 2013, we explored the evolution of the Triumph Bonneville classic motorcycle. While the Bonneville is an iconic antique vehicle, it’s not the only Triumph with fame. Intended to be a bike that served as an antidote to the fog of British two-stroke engines smoking up the streets, the T20 Tiger Cub was a bike that capitalized on the appeal of Triumph’s established muscle machines, the 498cc Speed Twin, Tiger 100, and 649cc Thunderbird. Unlike these bikes though, the Tiger Cub was lightweight with a commuter appeal. The tiger cub was known for being a small motorcycle. Introduced in 1954 and in production for a little over a decade, the 200cc T20 Tiger Cub was designed by Edward Turner and launched at the Earls Court show in November 1953. The Tiger Cub competed well against the other small-capacity motorcycles of the time, such as those using Villiers two-stroke engines. The earlier version of the Cub, derived from the 150cc Triumph T15 Terrier (1953-1956) with the same frame and forks, used the aforementioned bike’s plunger rear suspension frame. In 1957, this was updated to a more modern pattern of a rear-swinging arm with twin suspension units. Even with its iconic nature, the Tiger Cub had its drawbacks. For example, in the earlier bikes the plain bearing big ends were prone to failure if the engine was revved hard before the oil was warm. A better oil pump was fitted in 1961, and the Cub received a complete new bottom end in 1962, which fixed that problem. The Cub also saw ignition problems during this time, but that too was fixed by 1963. Although the Tiger Cub made many improvements throughout its existence, it’s development was somewhat short lived. 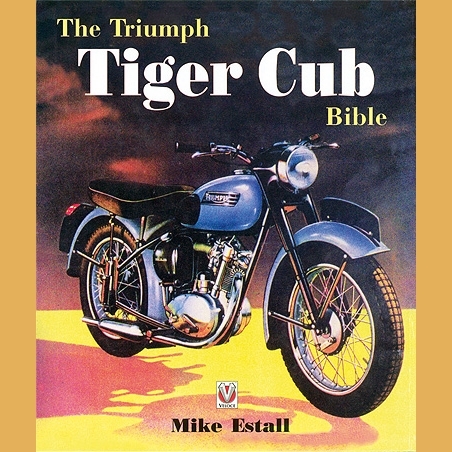 Triumph ceased production of the Tiger Cub in 1968. The last model made was the T20 Super Cub. No matter what type of classic or vintage motorcycle you own, we can insure it at Condon Skelly. Your vehicle will fall into the antique category if it is completely original and at least 25 years old. We insure many different types of antique cars, trucks, and motorcycles so we’ll be able to craft the perfect policy for your vehicle. Please contact us at (866) 291-5694 for more information today! It’s believed by many that the very first Lincoln Continental, developed as Edsel Ford’s one-off personal vehicle in 1939, was planned to be put into production if successful. Ford commissioned a custom design in 1938 from the chief stylist, Eugene T. “Bob” Gregorie, ready for Edsel’s March 1939 vacation. The design, allegedly sketched out in an hour by Gregorie working from the Lincoln Zephyer blueprints and making changes, was an elegant convertible with a long hood covering the Lincoln V12 and long front fenders, and a short truck with what became the Continental series’ trademark, the externally-mounted covered spare tire. Lincoln Continentals of the 50’s were known for their price. In fact, Continental for ’56 was one of the most expensive cars in the world. With a price tag of $10,000, it rivaled Rolls-Royce. Despite this high costs though, Ford Motor Company actually lost money on each one sold. This vehicle was an image builder for the company, as well as test beds for new ideas and concepts. However, between the stories of dealers turning potential buyers away because they were not deemed to be the right kind of people to own Continental, and its sticker price found affordable by only the world’s wealthiest, the Continental became a bit of a myth in this decade. Another distinguishing feature of the Lincoln Continental, at least in the 60’s, were what’s known as “suicide doors”, or rather rear-swinging doors. There is no definitive answer as to why they are called this, however many people speculate that they got this name due to the fact that if the latch was opened while driving, the door would get ripped open by the air flow. In an era of no seatbelts, one can only imagine what would happen to the vehicle’s passengers. Although Lincoln Continentals surged on through the 90’s, Lincoln announced the end of the model production after 2002, after a few slow-selling years. The cancellation of the Continental was due largely to the continued shift in the consumer marketplace away from large front-wheel drive luxury cars. Whether you own a classic Lincoln Continental or any other type of classic or antique car, it’s important to protect it financially with the right type of Classic Car Insurance Coverage. At Condon Skelly, we know how exciting it can be to start a classic car collection. We’ve been helping our customers protect their classics with affordable, industry-leading insurance coverage since 1967. We’re a group of collectors, enthusiasts, and professionals who specialize in insuring all types of collector vehicles. For more information, please contact us today at (866) 291-5694. The story of the Packard automobile starts in the early 1900s, founded by James Ward Packard, his brother William Doud Packard and their partner, George Lewis Weiss in the city of Warren, Ohio. 400 Packard automobiles were built at their Packard factory from 1899 to 1903. Being a mechanical engineer, James Ward Packard believed that they could build a better horseless carriage than the Winton cars owned by Weiss, an important Winton stockholder. From its beginning, Packard-build vehicles were perceived as highly competitive among high-priced luxury American automobiles. The company was often referred to as being one of the “Three P’s” of American motordom royalty, along with Pierce-Arrow of Buffalo, New York and Peerless of Cleveland, Ohio. For most of its existence, Packard was guided by its President and General Manager James Alvan Macauley, who also served as President of the National Automobile Manufacturers Association. Macauley made Packard the number one designer and producer of luxury automobiles in America, and was inducted into the Automobile Hall of Fame. The Packard legacy stayed strong through the 30s and 40s, but by the end of World War II, even though they were in excellent financial condition, several management mistakes became visible. Postwar Packards sold well, but they had become virtually alike in styling by this time, and management had decided to direct the company more to volume middle-class models, thus concentrating on selling lower priced cars. Management also tried to enter the taxi cab and fleet car market. 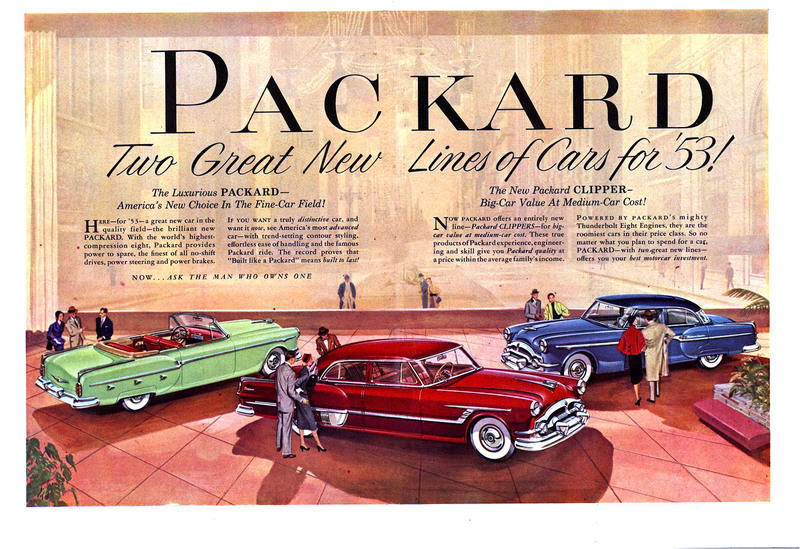 These actions eventually diluted Packard’s image as a luxury brand, and they lost many buyers. Sales continued to dwindle until June 25th, 1956 when the last Packard rolled off the production line at Packard’s plant in Detroit, Michigan. Whether you own a classic Packard or any other type of classic or antique car, it’s important to protect it financially with the right type of Classic Car Insurance Coverage. At Condon Skelly, we know how exciting it can be to start a classic car collection. We’ve been helping our customers protect their classics with affordable, industry-leading insurance coverage since 1967. We’re a group of collectors, enthusiasts, and professionals who specialize in insuring all types of collector vehicles. For more information, please contact us today at (866) 291-5694. The creators of this collector car were Chevrolet studio head Clare MacKichan and stylist Carl Renner. MacKichan’s group had suggested at “sport wagon” as one addition to Chevy’s all-new 1955 line. MacKichan stated, “The Corvette theme was a popular one.” Based on the Corvette model, Renner had come up with a sketch for a station wagon roof that caught the eye of General Motor’s Harley Earl, and Earl asked that it be incorporated into a station wagon version as one of three Corvette idea cars for the 1954 Motorama. The end result was the Corvette Nomad. This prototype featured a fiberglass bodywork on a 1953 Chevrolet wagon chassis. Renner’s roof design complimented the lower body lines of Chevy’s recently announced sports car. Originally unveiled in January 1954, the car was such a hit that Chevy quickly ordered MacKichan to adapt its roofline to Chevrolet’s forthcoming 155 passenger-car styling. 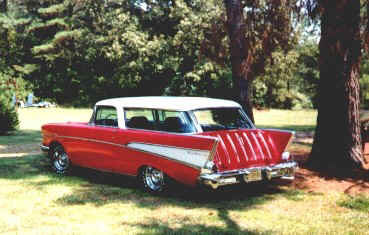 The unique styling of what became known as the Chevy Nomad continued through 1956 and 57. Chevy’s were given a more conventional full-width grille, pleasing customers who didn’t like the Ferrari-inspired ’55 front end. General Motors discontinued the original Nomad Sport Wagon at the end of the 1957 model year due to low sales and the introduction of a new body for 1958, but the Chevy Nomad is still considered to be a milestone vehicle. 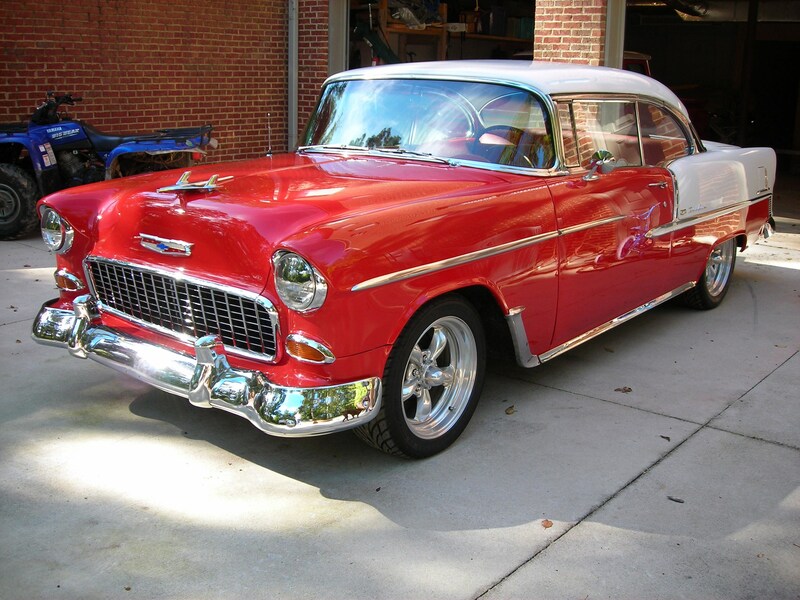 Whether you own a classic Chevy or any other type of classic or antique car, it’s important to protect it financially with the right type of Classic Car Insurance Coverage. At Condon Skelly, we know how exciting it can be to start a classic car collection. We’ve been helping our customers protect their classics with affordable, industry-leading insurance coverage since 1967. We’re a group of collectors, enthusiasts, and professionals who specialize in insuring all types of collector vehicles. For more information, please contact us today at (866) 291-5694. One of the most iconic British motorcycle brands in the world, BSA was originally formed in 1861 by a group of gun makers to supply weapons to the British government during the Crimean War. In fact, BSA (Birmingham Small Arms) is the more commonly known name for the company, which is the British Birmingham Small Arms Co.
As the Crimean War declined, the company began branching out into making bicycles, and by 1903 produced its first experimental motorcycle, along with automobiles. 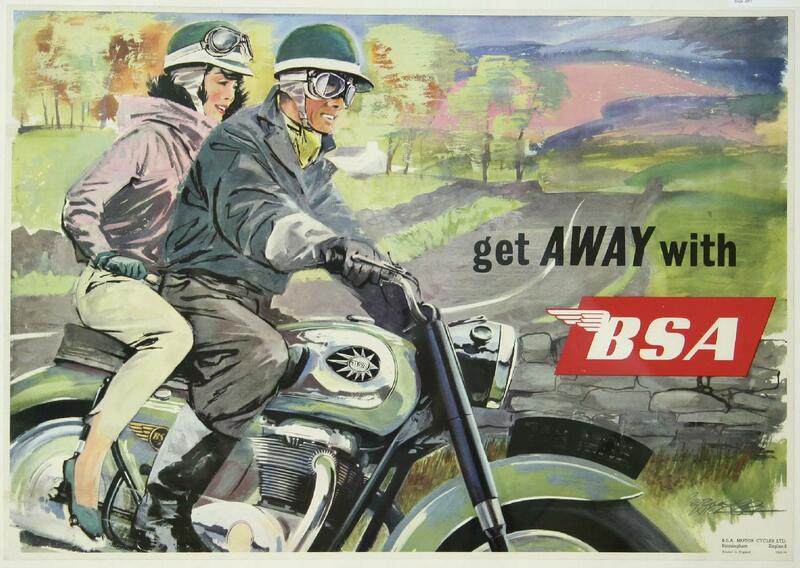 BSA motorcycles were initially sold as affordable bikes, with reasonable performance for the average user. The BSA brand stressed the reliability of their machines, the availability of spares, and dealer support. BSA motorcycles were a mix of sidevalve and OHV engines offering different performance for different roles. For example, if the bike was purposed to haul a side car, it may have a more powerful engine than one without this addition. BSA bikes were intended for commuting above all else, when they first came out, and were often compared to Norton motorcycles. Post-war, a few riders began entering races such as the TT races with their BSA’s. They started off making a slow appearance into these races, but by 1952 BSA was in the majority. By 1956, the makeup was 53 BSA bikes to every 1 Norton and 1 Velocette! Due to their successful introduction into racing and in order to improve U.S. sales, BSA began entering here in the U.S., starting by entering a team of riders into the 200 mile Daytona Beach race with a mixture of single cylinder Gold Stars and twin cylinder Shooting Stars assembled by Roland Pike. Motocross became such a success for the BSA factory with Jeff Smith riding a B40 that they were able to capture the 1964 and 1965 FIM 500 cc Motocross World Championships. This would be the last year the title would be won by a four-stroke machine until the mid-1990’s. The BSA brand was most definitely one of the most iconic brands there were. Even today, BSA’s continue to be viewed as both competitive vintage racers and, along with other British brands such as Triumph, staples of the modern café racer culture.